Ok, so I know why I am doing it, what next?…. Next up will probably be getting some running gear if you don’t have any already. I would say that depending on what you’re going to do, don’t worry about spending a load of cash on tops, shorts etc. I started out with some running stuff from Sports Direct, nice and cheap and pretty functional. Choosing a pair of trainers is an important step and while you can be lucky and find the perfect pair of shoes on your first try (a guy I run with picked up a pair of Adidas Kanadia and they were perfect for him, now he is on his third or fourth pair and has no desire to change to another brand/style) it may take a bit more effort than just hitting an online store and clicking add to basket. How much running experience, if any, do you have? Lastly don’t be led to believe that you have to spend £100’s to get a decent pair of shoes, mine were £35.00, the afore-mentioned Adidas were about £40.00 so it doesn’t have to break the bank to find some trainers you like. It may seem like a lot of effort, but trust me finding a pair of trainers that work for you is worth the effort and you will notice the benefits as the mileage starts increasing. 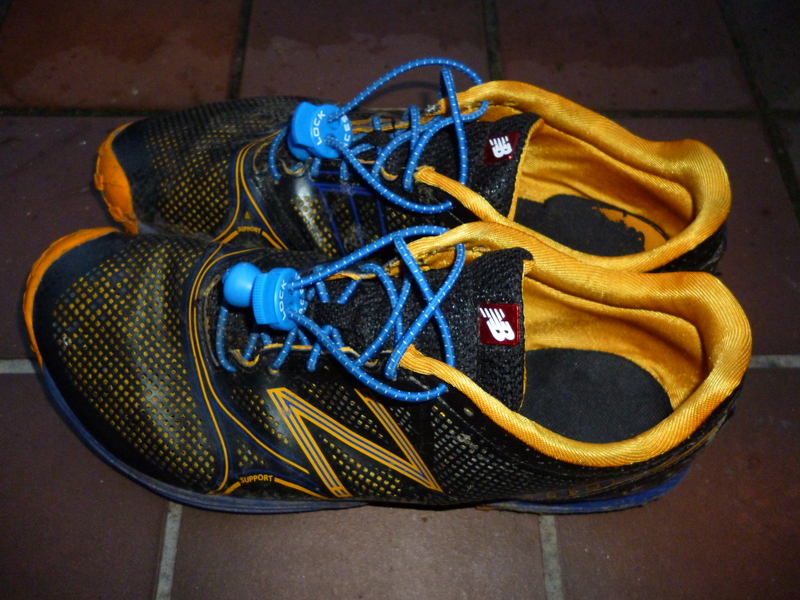 I myself run in a minimal pair of trainers with a low heel to toe drop of about 4mm, which has worked for me and thus far I have managed to avoid any real niggles. I have been thinking about trying to put some of the things I have learnt since taking up running, going from not being able to run one lap of the park (2.5km) without stopping to where I am now, so this is that post. I should probably say that the below is all my own opinion, obviously I would never intentionally give any bad advice but at the same time I am not a trainer, I don’t have any qualifications etc I am just basing it on my experiences, mistakes and on bits of information that I have picked up on my way. I actually was going to do the whole thing as a single post but the next section that I was writing is looking quite substantial so what I have decided to do is break them up into a series, each under the same category for ease of viewing. So I want to start running…. I have mentioned in the “about” section that I started running because of signing up for the Grim 2010, this was my way of getting motivated to go out and run. Now participating in a race within 4 months of starting out may not be everyone’s cup of tea (I did have a base level of fitness to work from, not that it felt like that on the first few runs) but the premise is sound, have a goal, an objective, something you want to achieve. This can be losing weight, raising money for charity, getting fitter or as above having a race/event. The reason I say have a goal is that from my experience, getting up on a cold wintry morning to go for a run can be tough and by having something to work towards can really give you the kick up the bum to get out there and do it. Another way of getting motivated is joining a group of like-minded people, I would say that if you are thinking of getting out and running and are looking for other people to run with, then I would recommend joining a Parkrun. Its free, there is probably one near you and it happens every Saturday. There is no minimum ability required and it is a perfect environment to get you started. The website is http://www.parkrun.com/home and all the information on how to join is on there, as well as a directory to find the nearest one to you. So, you have a reason to run, not you need some running gear and this will be the topic of my next post.